Rhabdomyolysis is a condition where skeletal muscle breaks down and its products release into the bloodstream. 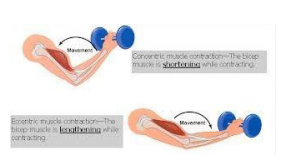 It is caused by overexertion exercise, especially eccentric contractions, which is when the muscle is forced to lengthen as it contracts. Examples include bench press, squats, and lunges. High repetitions of pushups, situps, and squats can also cause this condition. Other factors are dehydration and heat stress. Primary complaints from the athlete are brown urine and severe muscle pain that develops 12-36 hours following the physical exertion episode. Athletes can also complain of fatigue. If the athlete experiences brown urine, severe muscle pain, and fatigue, follow-up with the athletic trainer for an initial evaluation. Seeking a physician’s diagnosis may be needed to verify if the athlete has this condition through additional tests.